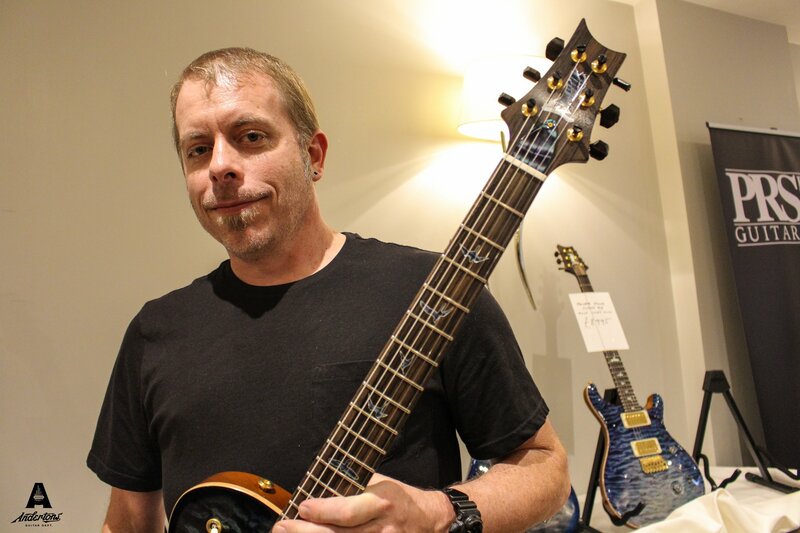 Paul Miles, a 27-year PRS veteran, is the man in charge of their Private Stock department. The PRS Private Stock has a reputation for producing some of the most beautiful guitars in the world; Paul took time out of our recent Private Stock showcase to answer questions about his experience, the PRS ethos, and his personal favourite guitars! For those who don’t know, could you sum up what the PRS Private Stock is? Well Private Stock is our custom shop. 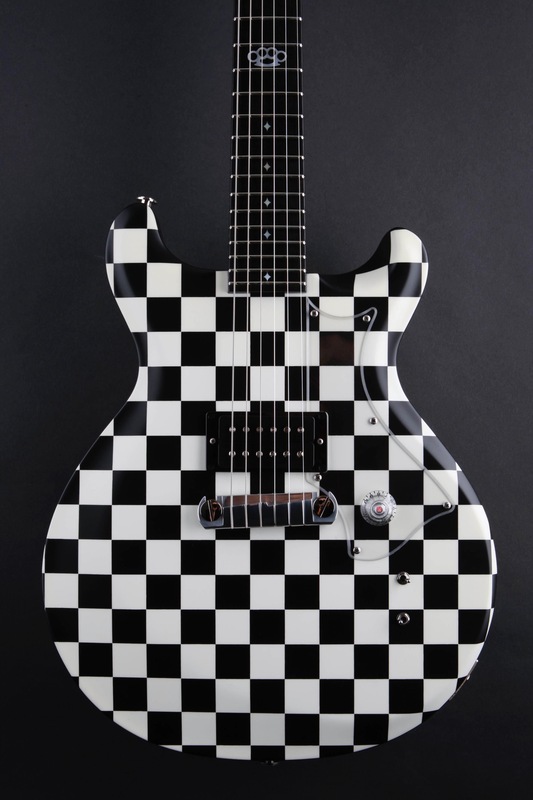 It’s custom-made one-off guitars built for guitar lovers! We also do limited runs – balance between form and function. I have an art background, so my involvement starts from an aesthetic place. That part’s really nice. From there it’s just people ordering the guitar of their dreams – that’s the way we want it to be. People have a vision of a guitar, and we help them realise that vision. How long have you been involved? What’s your PRS story? I went to art school my whole life & was playing in bands. When I graduated from college, my parents told me to get a job – and I said ‘oh no!’ But my drummer said there was a place in Annapolis, Maryland called PRS – they make guitars. That sounded like fun, it sounded artsy – I started there literally the summer after college and I’ve been there for 27 years now! How do you guys uphold such high standards in manufacture, particularly with the Private Stock stuff? We have a lot of people who have a real good eye for detail. My team particularly consists of guys who’ve been there for 15 years or more. They sort of grow up in that atmosphere. Even on our core product we have the same eye for detail – the volume is more per day – but with the private stock we have the time to really be picky about the woods, what we’re doing, experimenting with the finish. We get to open it right up – it enables us to create art – but it’s also a tool for a musician, a working guitar. What’s it like working with Paul? Be as honest as you like! It’s wild! Every day is different. I’ve learnt so much just working with him and watching him, doing trips like this – it’s invaluable. Having the owner of the company there every day with his hands still on the guitars…I wouldn’t be here if it wasn’t for him. I look at him as my mentor, as far as guitar goes. He’s just got a brilliant mind for guitars, and he’s got the ears of a dog – it’s crazy! We say it all the time at work – ‘oh my God, he can just hear everything!’ That passion and that push that he has drives me, which I drive to my people and it gets contagious. People really love the art of it too – I’m not necessarily hiring artists all the time, but I’m hiring people who you can mould into woodworkers and artists and so on. I look at luthiers as artists, naturally. Having the owner of the company there every day with his hands still on the guitars…I wouldn’t be here if it wasn’t for him. You mentioned you’ve been with PRS for a long time; where did you start off? I started off sanding guitars! But I knew that I wanted to work in the spray room. I knew that if I was gonna paint anything, I had to get into the spray room. It probably took me two years to get in the spray room, where I worked for years. I took over as a manager of the finish hall, and worked that way. Once I got into management, Private Stock started growing a little bit, they were hiring more people. So I decided that management’s cool, but I still wanna create! So I went over to Private Stock, and did the same kind of path. I was spraying Private Stock guitars, and I worked my way up in the same way – but I was in the Custom Shop now, so I took over that part of it. Looking back, it’s been pretty wild, my path through PRS. But it’s been pretty rewarding, for sure! 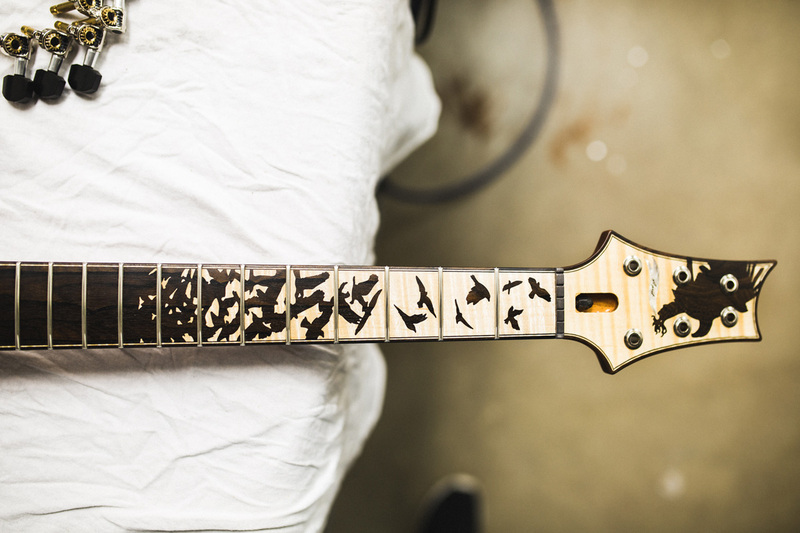 In an ever more eco-conscious world, have you seen any changes in the PRS manufacture process in the past few years? We do, we see changes – especially with CITES. It’s really important for us to work with the government; we’ve seen too many times where people try to get past that, and it just doesn’t work. We’re really open with them, we do everything we can to abide. Otherwise it’d be stupid – it just doesn’t make sense. We try to use as much sustainable wood as we can, cut a tree & plant a tree, and so on. Even with the woods that we choose, our wood guys are always out on the hunt, looking for stuff from lumber yards. Those guys have developed relationships in the past 35 years. It’s important for us; we’re making instruments out of wood, but in a way we’re environmentalists ourselves. It’s a tough line to walk sometimes, but we do everything we can to recycle the wood; all the dust that comes from it gets shipped out for other people to use. We try to sustain it as far as possible. Even the pieces of wood that are scrap on the floor, we encourage people to use. I’ve got a basement full of wood at home – I make cutting boards all the time, just because I’ve got this wood. I give them to my family for Christmas and stuff! We encourage that at the shop, guys build their own guitars and stuff – we give this freedom that enables all this wood to be used. Even as far as people using it in their fireplaces at home – they’re heating their house with these scraps. It’s all important to us. What’s your personal favourite tonewood? Either in terms of looks or tonal quality? I mean – Maple and Mahogany is the standard. Above and beyond that, the nice thing with Private Stock is that when our wood guys are out, they’re calling me saying ‘I found this piece, I found that piece, do you want me to buy it?’ – the first part of it is visual. I look at this of piece of wood, and it looks great! So we get it in, we tone-tap it, we dry it – we get it to our own standards before we use it. We do everything we can to make sure that that’s gonna be a musical piece of wood. There’s woods that people have used like Honduran Rosewood – made for marimbas – so we know that if we get a batch of Honduran necks, they just sound musical, just by nature. We start there, and know that there’s gotta be a musical combination in there. I think right now my favourite wood is Ziricote. I’m using that myself at the moment. It’s very cool, very Rosewood-reminiscent, it’s dense, it’s hard, but it’s got this beautiful spider-webbing pattern that’s been amazing for us. The idea behind Private Stock is for people to realise the guitars of their dreams, but you guys also make models that you design yourselves. What’s the process behind that? In Private Stock, we’d call them limited runs. We’ll sometimes do stock guitars too. There might be something that falls out from a machine, these things happen; you can still use the piece but you’re not gonna use it for a hollow-body because the heel got cut off, so it becomes a Custom or something. There’s a lot of that going around. It’s a balance between Paul and customers; Paul comes from a vintage guitar background, it’s his thing. A lot of us, including myself, aren’t necessarily vintage guitar guys. I was raised in the ‘80s, I was a metalhead. I’m a bass player, and my first bass was real pointy – but I developed this love for classic instruments. It’s nice because now that I have a little bit of both backgrounds, it’s a great combination. You can see that in the Private Stock range; over here you’ve got a McCarty Standard Burst, but then you’ve got Northern Lights, and these really intense finishes. Do these guitars start with Paul, or does the whole team chip in and decide on combinations? What’s the design process for the Limited Runs and Stock models? For the Limited Runs, we’ll have a small group discussion, and then develop it from there. I’ll go at it from an aesthetic/art background, and Paul will bring in his vintage background. Then sales will give their input on what they’re hearing from dealers, and then we’ll put the guitar together. If it’s a stock guitar, I’ll pick out the woods, I do a lot of that during the day. Sometimes, that process starts to change when you start seeing the wood – this piece might not go as well – it changes a bit, but it’s a lot of hands-on getting involved. If you could pick a favourite Private Stock instrument from your entire PRS career that stood out from the rest, what would it be? Maybe one that you didn’t quite want to let go of? Yes, there’s three! At PRS you get employee guitars. As you’ve been there long enough, you get to build an employee guitar. My 7-year employee guitar was a Spruce-top hollow-body with a Brazilian Rosewood neck on it. That thing was just ridiculous. It just rings, it’s so beautiful – it’s the guitar that makes a bass player play guitar. The other one; I’ve done a lot of inlay work. All the custom inlays I end up drawing. When we did the Birds of a Feather – the one where it’s Ebony at the bottom with the birds coming out of it at the other end with some Maple (see below) – that was a breakthrough moment for me, because we did an ad with it. Here is my artwork on a guitar, with a Limited Run. To see dealers buy those…they’re buying my art! It’s PRS’ art too, but it’s a super ego-boost! Super rewarding. That idea developed in Japan over a lot of Sake. We’d been out late into the night, and I got back to my room and I wasn’t tired ‘cause of the jetlag. I just started doodling on paper, and it developed into this amazing thing. Ever since then, it’s opened up some kind of pathway in my brain to have an inlay that nobody else is doing. PRS-specific inlays that tonally don’t change the guitar, but they have an aesthetic that goes back to a combination of art and a working tool. (continued) It was a lot of fun – it sounds great, one pickup, I just wanted a no-frills rock machine! That goes back to my painting days. Whenever I can really paint something, it’s a lot of fun for me. For those who might be interested in ordering a Private Stock PRS, what’s the process? It’s pretty easy! Think about what you want – that I couldn’t stress more. Research, without going too crazy. A lot of times guys will come in wanting every tonewood that they could possibly put on a guitar. It works, but it gets to be a bit too much sometimes. Get a good idea, talk to your dealer, they’ll guide you through it. Next to Paul’s office is the vault; that’s where we keep the Private Stock wood. Dealers are welcome to bring their customer to PRS and work with me – and Sales – to spec out the whole guitar, in the dragon’s lair, so to speak! That has been really cool for a lot of folks who want to see the process. For people who are overseas though, dealing with the dealer and going through sales is really easy. We send pictures, we work back and forth until the person is happy. There’s a lot of email and conversation, but it’s pretty easy and we’re pretty easy-going people to talk to. We’ll guide you through everything. It’s cool because sometimes guys think of ideas that we didn’t think of! We’re cool with that – if we can learn from a customer or a dealer, that’s great! We have a really simple spec sheet that goes through all the details. Literally you’ll go through each one, from wood to the tuning pegs – everything. Last question: what would be your top tip for someone who wants to order a Private Stock guitar? Yeh – I think don’t overthink it. Do your research it, think about it, but really look at what your heroes play. Look at these guys, look at what traditionalists taught us. It’s modern art, it’s vintage, it’s so many different things – but to an end-user it can be overwhelming sometimes. I think that if you just breathe, walk through the process, it’s pretty easy. It’s rare to have an unhappy customer when you walk them through like we do! 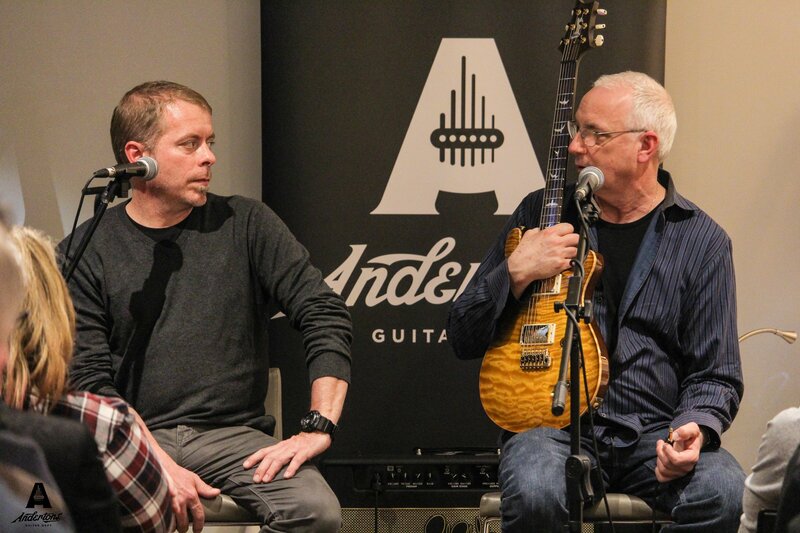 Want to know more about PRS at Andertons Music Co? Click here to view our full selection, or if you’ve got any questions, please don’t hesitate to contact us!